Explore some key benefits of the Agile Methodology, broken down by how they help customers, vendors, and project managers. 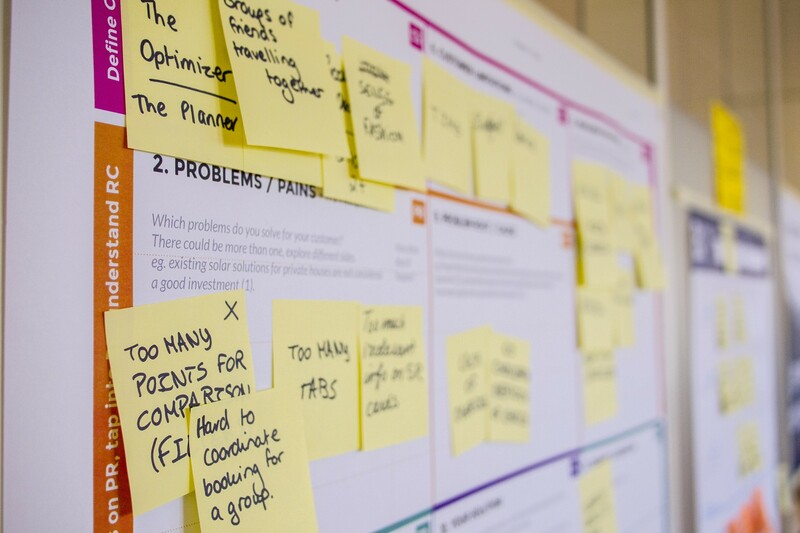 Though there are a number of benefits of the Agile Methodology, the benefits for the customer are arguably the ones that will have the greatest impact on your bottom line. The happier customers are, the greater opportunity you have for increasing sales, forming long-term business relationships, maximizing recurring revenue, and strengthening your business reputation. Because Agile projects offer incremental delivery, customers can see constant progress in their projects. You can demonstrate working functionalities to customers with every Sprint, allowing them to see continual progression. Since working functionalities are delivered faster, this means your customer will get a product to market faster, as well. Through the process, customers are more involved and engaged in development, offering advice and feedback every step of the way. Faster progress and greater engagement mean that your customers are more likely to get what they envision, sometimes before the scheduled deadline. All of these factors increase customer satisfaction. When customers make an investment in a partnership with a vendor or a project management professional, they want to diminish risk as much as possible. With traditional project management methods where requirements are collected before work begins, a client could pay for an entire completed project, only to discover it isn’t what they envisioned, which means lost time and lost money. By developing in Sprints, vendors ensure a brief time between each feature development. This means any changes can be made rapidly, or new feedback can be integrated into the project almost immediately. Due to continual development, customers can feel confident that each final product will be closely aligned with their vision. In the past, a customer might invest in a software development project (or any other type of project) and not see a return on their investment until months or even years after the project was started. One of the greatest customer benefits of the Agile Methodology is that projects implemented with this approach yield a rapid ROI. First, through incremental development, customers can launch features or even their entire software program in a short timeframe. Customers have completed projects faster, and after only a few iterations, a functional product is ready for release. Customers can also identify the highest priority aspects of a project that have the greatest business value, and those tasks can be completed first. Once a completed product is released, audience reaction can be quickly assessed, and changes based on that feedback can be implemented in the very next Sprint. When vendors use the traditional waterfall approach to project completion, they often face challenges like slow progress and an overextended team. Using the Agile Methodology, vendors can do more with small teams, enhancing efficiency and maximizing profitability. Let’s look at some of the ways the Agile Methodology can help your business. With the waterfall approach, it can be difficult to detect product issues or errors until the entire project has been completed. One benefit to the Agile Methodology is that each iteration of a project is tested over and over to ensure it’s working both during development and after release. Continuous integration and daily testing are fundamental aspects of the Agile development process. As each Sprint is planned and then immediately started, customers are able to define and elaborate on requirements just in time, which means vendors are working with the most recent direction and information. Sprint retrospectives also play a key role in product quality. At the end of each Sprint, team members can reflect on what they have completed and how processes and products can be improved. This ensures the next Sprint runs more efficiently than the last. Transparency into the overall progress of a project is hard to achieve, especially when evaluating it from the C-suite. However, one of the benefits of the Agile Methodology is an increase control over project progress. Daily Sprint meetings offer continuous insight into how a project is moving forward and which tasks each team member has completed. This maximizes the number of information radiators, increasing both high-level and in-depth project transparency. In addition to the benefits of the Agile Methodology for the customer and the vendor, project managers are able to handle the inherent uncertainty of development work. While traditional project management calls for capturing requirements early and completing detailed plans, but this can be impossible if a customer is uncertain of exactly what they want or need. In agile, the detailed planning is skipped and teams get to work as quickly as possible to allow the customers to learn more about what their requirements are. For project managers, or Scrum Masters, aligning a project with customer needs is an obvious benefit to the Agile Methodology. In the past, it could be difficult for project managers to make the vision of a customer a reality. By constantly touching base with the customer, project managers have a clear sense of their vision and can implement feedback as soon as possible. Prioritizing tasks can be a challenge for any project manager. Identifying what needs to happen in what order and allocating resources based on those needs often makes for mismanaged projects. With the Agile Methodology, however, tasks are managed at the beginning of each Sprint, allowing for the customer to communicate their highest priorities and project managers to plan according to that insight. Organizing a project can be both time consuming and frustrating. It can be hard to keep track of who is working on which tasks. With task tracking, Scrum Masters can focus on productivity on both a high level and a granular level. For example, if project managers use the Scrum version of the Agile Methodology, the burndown chart constantly shows what has been completed. This gives unparalleled insight into the state of the project at all times. Do you want to bring these benefits to your customers and your organization? If so, it’s time to consider earning your PMI-ACP (Project Management Institute - Agile Certified Practitioner). This helps you hone your Agile project management skills, and holding this certification brings greater legitimacy to your resume and your organization. When you hold your PMI-ACP, you can reap all these benefits of the Agile Methodology and more. Learn more about the benefits of the Agile Methodology. Explore The Ultimate Guide to Agile now.